I'm sure I've posted some of those on SMF before ... I think. Gorgeous! I'm so jealous. 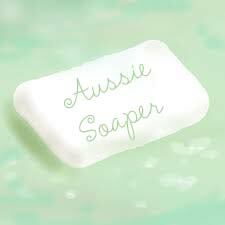 But it certainly gives me the inspiration to keep working on new soaps! I don't think I can even pick a favourite... what fragrances are they? Beautiful soap! How do you get it so pure white? Some of the white can be attributed to Titanium Dioxide. Gorgeous soapies Bubbles! I love your pinks....do you use micas to get those lovely shades? Thanks Topcat. The pale pinks are pink clay mixed with TD. The third one down is Madder Root and the last pink one is pink clay. Bubbles Galore wrote: Thanks Topcat. The pale pinks are pink clay mixed with TD. The third one down is Madder Root and the last pink one is pink clay. Depends on what oils and fragrance oils you're using. You can use a pigment called Titanium Dioxide to whiten soap.